Uni-Cage Filters collectors are continuous-cleaning pulse jet units. 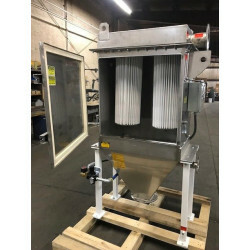 Bags can be accessed through top or side doors on the clean air plenum eliminating the need to enter the filter housing for bag changing and/or maintenance. Filters available are continuous-cleaning pulse jet units which incorporate “Uni-Cage” filter tube design. 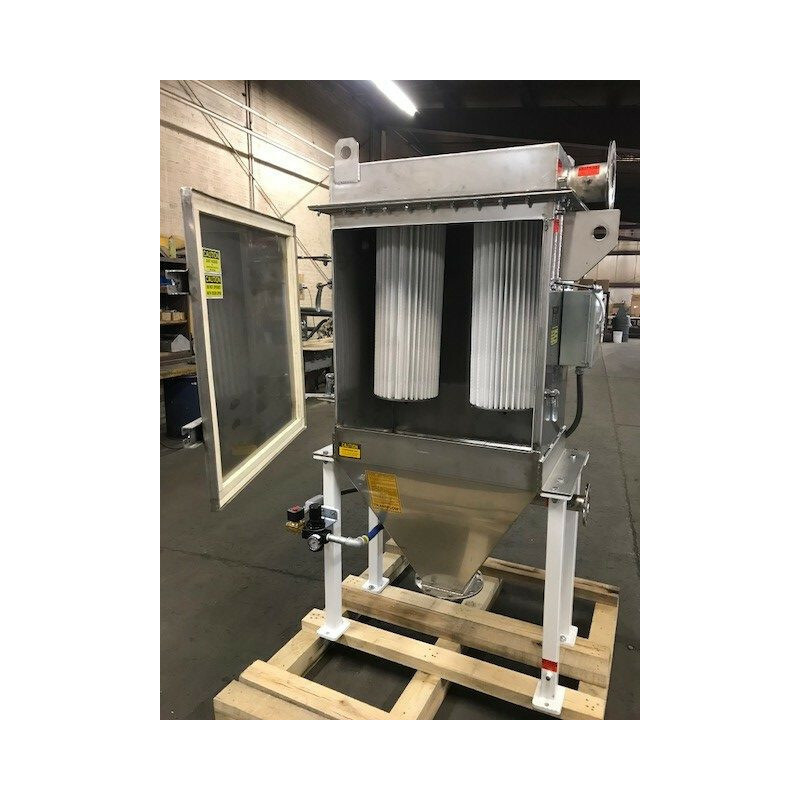 This feature allows for bag access through top or side doors on the clean air plenum eliminating the need to enter the filter housing for bag changing and/or maintenance. Vertical and horizontal bag units are available with cloth areas from 21 through 16,380 sq. ft. Materials of construction include stainless steel and carbon steel with special materials available to meet special design conditions.